We had everything we needed, it was clean and cozy! Space of property really suits the number of people. All the stuffs are ready to be used and plenty of area to relax during at the apartment. Clean, comfortable apartment located in the downtown area. It was a short walk to the train station and about 30 mins by foot to the West Terminal for the ferry to Tallinn. Kitchen was well stocked and the beds were excellent. Everything was just as stated in the listing, the studio even appeared to be bigger than in photos. We got all the necessary equipment (dishes, cutlery) and the beds (including the sofa bed) were quite comfortable. Location was great, good value, very easy check in! NIce stay! we received the access code via SMS and e-mail promptly, as expected. Well equipped kitchen, clean studio. Washing machine and dryer, quiet and comfortable place. 10 minutes walk to the city centre. Perfect for us! Everything else was super fine. The lack of reception is well made up for by their effective communication, a super fast internet, clean and quiet spacious room and good location. Everything about the place was positive. The price and location were terrific. Easy walk over to Kallio or down to the harbour. Easy to fetch the tram. Good wifi and cable tv. Pleasant pub down the street called Harry's Bar with a nice coffee shop next door. Room in the basement to store bikes, strollers, etc. 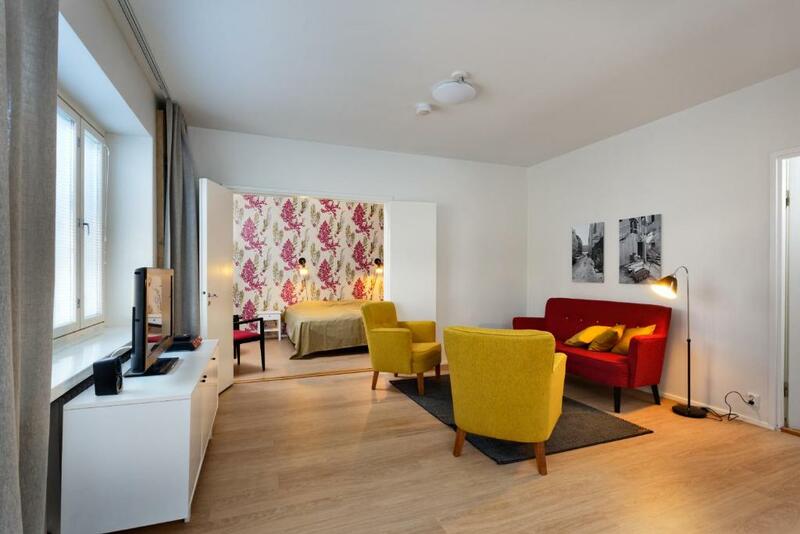 Lock in a great price for Forenom Serviced Apartments Helsinki Kruununhaka – rated 8.4 by recent guests! 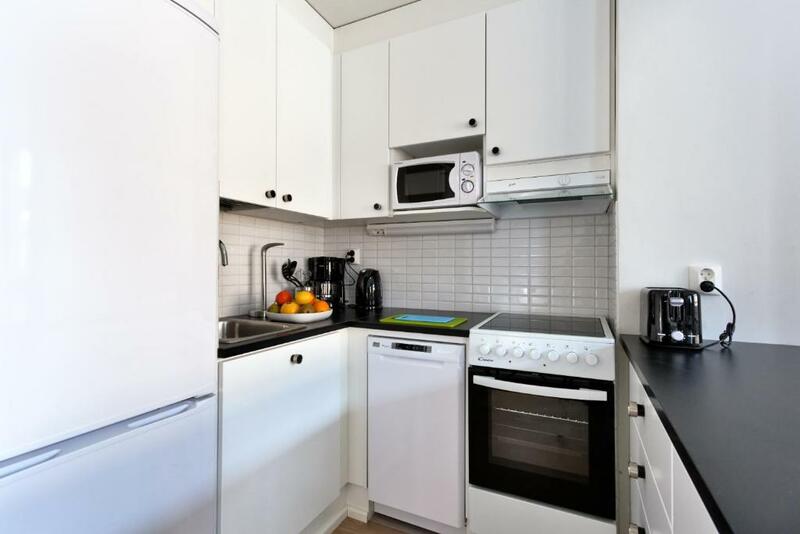 Forenom Serviced Apartments Helsinki Kruununhaka This rating is a reflection of how the property compares to the industry standard when it comes to price, facilities and services available. It's based on a self-evaluation by the property. Use this rating to help choose your stay! These apartments are located in the Kruununhaka district of Helsinki. All include a fully equipped kitchen and free WiFi access. Hakaniemi Market Hall is 10 minutes' walk away. 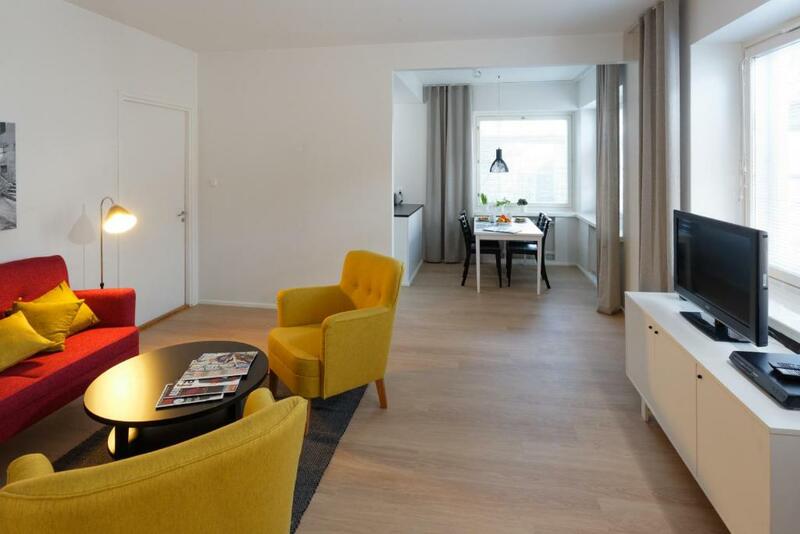 A seating area, mini-stereo and a flat-screen TV with DVD player are featured in living rooms at Forenom Apartments Helsinki Kruununhaka. Each apartment has a tiled bathroom with shower. Kitchen facilities include a stove, fridge and dishwasher. Some apartments include a washing machine and a walk-in closet. Several shops and restaurants are found in the neighborhood. Varsapuistikko Tram Stop is 1,950 feet from Forenom Kristianinkatu. Helsinki Cathedral is within 12 minutes' walk. Kruununhaka is a great choice for travelers interested in tranquillity, architecture and museums. This property is also rated for the best value in Helsinki! Guests are getting more for their money when compared to other properties in this city. When would you like to stay at Forenom Serviced Apartments Helsinki Kruununhaka? 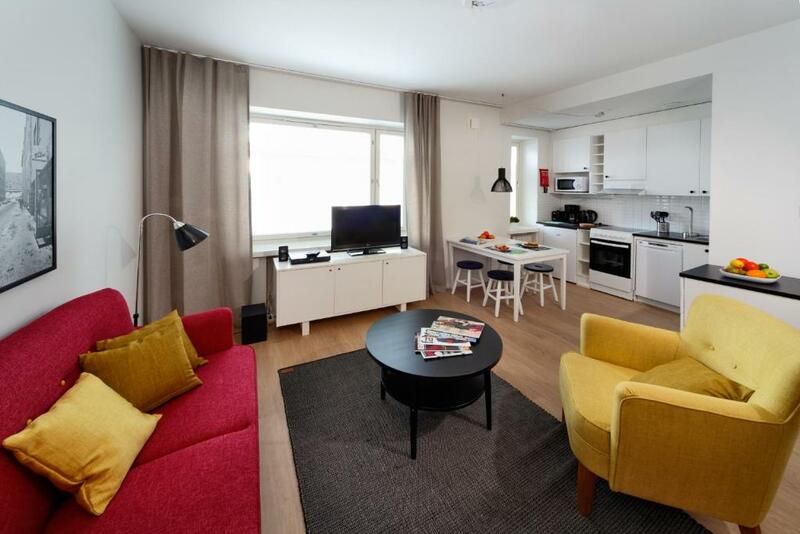 This bright apartment features a fully equipped kitchen with a stove, a mini-stereo and flat-screen TV. The apartment has access to a shared laundry room with a washing machine. There is no space for extra beds/baby cots in this room. There is a strict occupancy limit of 2 people. This bright apartment features a fully equipped kitchen with a stove, a mini-stereo and flat-screen TV. The tiled bathroom has a shower and washing machine. This bright apartment features a fully equipped kitchen with a fridge, a living room with a flat-screen TV with DVD player and a sofa bed. The tiled bathroom has a shower. 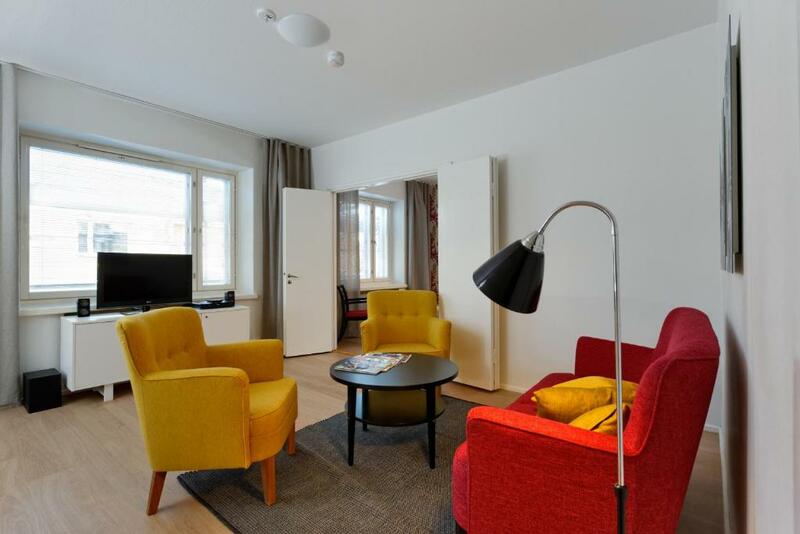 Whether you are traveling for business or leisure, we will provide you with a hassle-free stay in your own clean and comfortable apartment, right in the heart of Helsinki. We will send you a key code to your apartment on the day of your arrival and as there is no need for any check-in or check-out procedures, you can just come and go as you please! However if you need any assistance, you can reach our customer service number 24 hours. Forenom provides a mix of easy housing solutions and we’ve been at it since 2000. Whether you are traveling for business or visiting Helsinki for leisure you can count on us to provide you a home away from home. Our purpose is to make your stay easy, so you can feel at home. 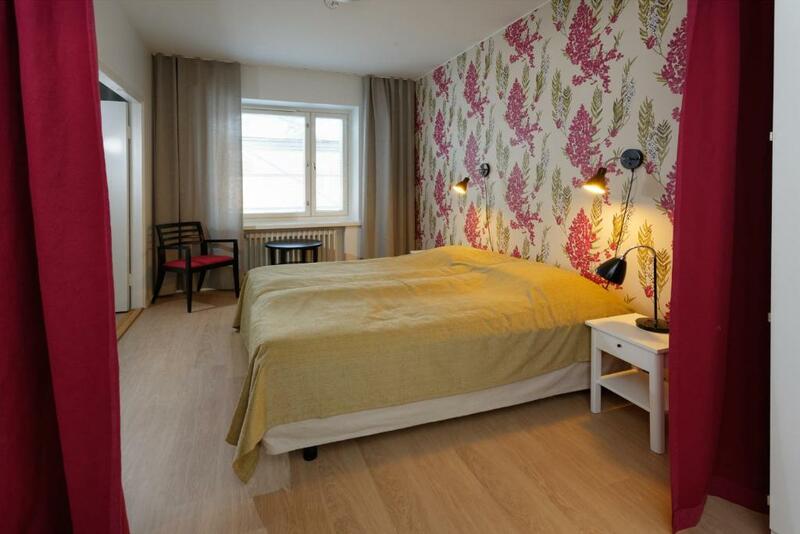 This property is located in Kruununhaka region, which is one of the most respected areas in Helsinki. 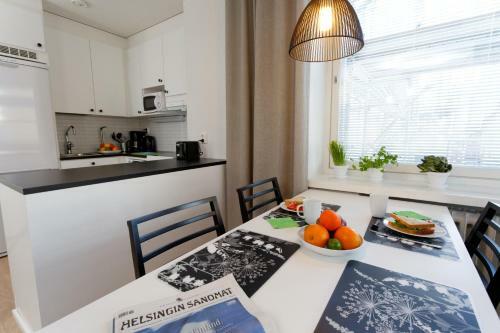 From peaceful Kruununhaka it is walking distance to Hakaniemi, urban and famous Kallio, Töölönlahti bay, University of Helsinki´s main buildings and many must-see-sights. This area has great services and recreational areas nearby – and public transportation is excellent wherever you are headed. Area Info – This neighborhood is a great choice for travelers interested in tranquillity, architecture and museums – Check location Great location - show map Guests loved walking around the neighborhood! House Rules Forenom Serviced Apartments Helsinki Kruununhaka takes special requests – add in the next step! Please note that Forenom Apartments Helsinki Kruununhaka has no reception. After booking, you will receive an email from the hotel with all codes needed to access your apartment. I'm very glad that I found these apartments. Very bright and clean apartments. There is everything for a long stay. I liked that the entrance to the building and the apartment is by code from the letter. Easy to check in and check out. A clean well lit place. It was a pleasure to be in Forenom Apartments. The beds were soft but we slept wonderfully. In the kitchen and in the bathroom you find all you need. It was calm and cozy and situated in the historic old town. Many restaurants, cafés nearby and with tram you are very fast in the middle of the city with all sights. We can recomment Forenom Apartments! It was extremely cold in the apartment - unbearable to be in unless you have a thick sweater and socks. We even had to sleep fully dressed due to the low temperature in the room. Batteries were on, but they didn’t heat the room properly. All was good. One of the kitchen drawers missed a handle and generally it felt a bit worn down but it wasn't a problem for us. 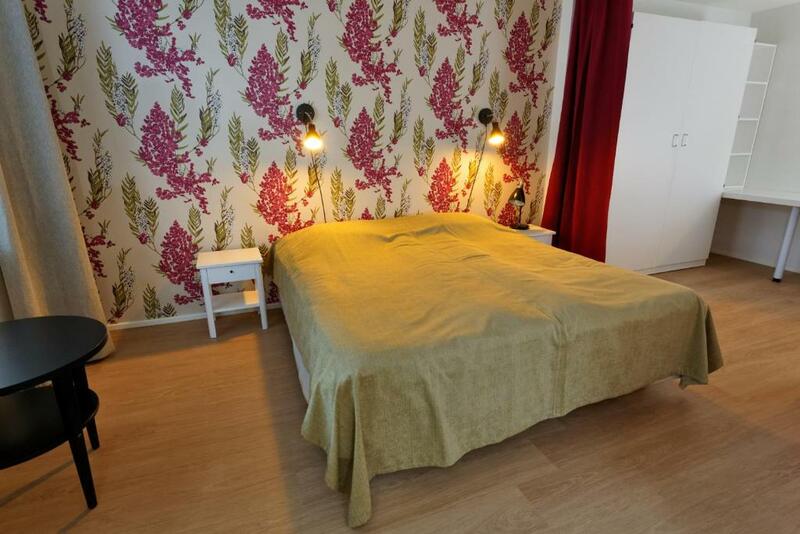 We have stayed at Forenom a number of times now and we love it for its comfort and simplicity. It's very straight-forward, convenient, great location, good facilities. It isn't luxurious but relaxing with children. Perfect! Flexible check-in time. Very good WiFi connection. Check in process is so easy and efficient. They just text a code to your phone and you use that to open the door. They also sent me a text 5 mins after I got in to see if everything was as I expected. Location is about 20 mins walk from the station but in a lovely quiet area. Only ten mins walk to the Cathedral. The apartment is spotless. It has everything you need for a simple self catering stay. Internet works perfectly. There is also a tv and a hairdryer although it doesn’t say that on the info. Beds are in a recess in the wall with a blackout curtain you can pull over and are really comfy. You will be right next to your sleeping partner however. And the bathroom has under floor heating and the shower is amazing. Overall I would definitely stay here again. It was fantastic. Our room was a bit chilly by Finnish standards. The central heating seemed to have trouble coping with the cold weather, at least at the current settings. I called and someone came but there was little they could do. It was not our first visit. We like the location, which is fairly central (as in less than 15 mins by foot to the main railway station), but urban, quiet, and residential. The studios are reasonably well equipped and roomy enough. There's also a laundry room and a drying room. Being on 5th floor and the lift broke down after our first day. We had to struggle downstairs with all our bags. Being an apartment, there was no one to contact re lift. Space - the facilities including well planned kitchen, living area, bathroom with laundry, and small balcony.